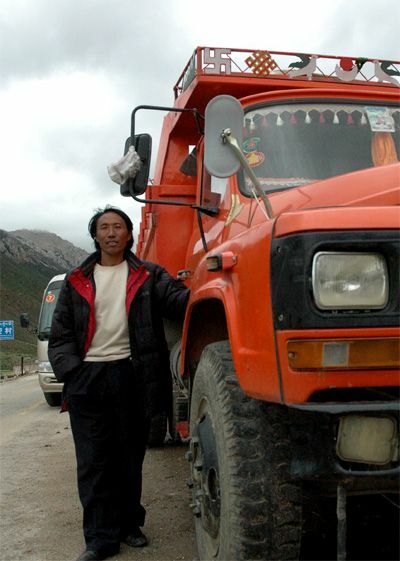 Chirab Tashi, a local farmer from Khese Village, Bangda Township of Baxoi County in Tibet Autonomous Region (TAR) is just one of the many who have benefitted from the developed transportation industry in Chamdo Prefecture. Located on the Bangda Grassland east of Chamdo, the Khese Village is sparely-populated due to its harsh weather condition and high altitude of 4,390 meters. The wind velocity in winter could reach as fast as 30 meters per second and the average temperature in early spring is often as low as minus 20 degrees celsius. In Khese Village, altogether 48 out of 56 households are now engaged in transportation industry, which has brought about the annual cash income of 110,000 yuan for each household.